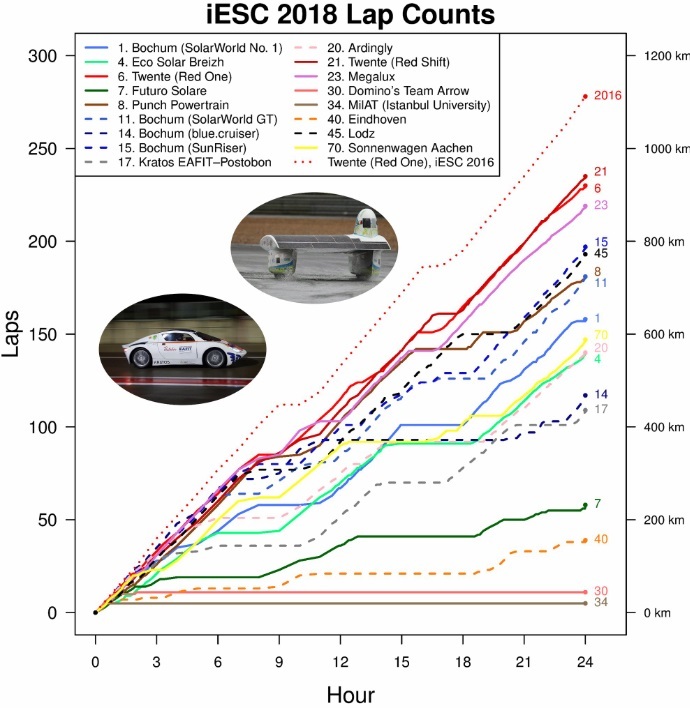 The 24 hours iLumen European Solar Challenge at Circuit Zolder has come to and end after an exciting race in really wet conditions. Congratulations to Solar Team Twente, who extend their title of 2016 in the Challenge Class, and to Lodz Solar Team who won the Cruiser Class. The graph below, developed by Scientific Gems , shows the evolution of the number of all teams in time. We hope to see you guys and girls back for iESC 2020!